A recent discussion between myself – Network Depot’s Marketing Director – and the CEO of Network Depot, Rich Forsen, provided some valuable insight for small businesses’ owners and management. Running a small business is a formidable challenge in the best of times, but even more so in difficult economic times. Many small business owners and executives under pressure to improve their performance turn their focus almost exclusively to finding ways to cut spending and often try to slash investment in their IT infrastructure. In an eye-opening conversation, Rich showed why this approach frequently misses the mark. On a quick tour around Network Depot’s Reston location, Rich pointed out the high-quality equipment being used by their IT support technicians. He and the technicians explained, for example, that Network Depot often purchases workstation class equipment vs. the typical desktop class and they also utilize solid state drives (SSD) vs. hard disk drives (HDD). This equipment is more expensive, but it provides for higher performance and lasts considerably longer. 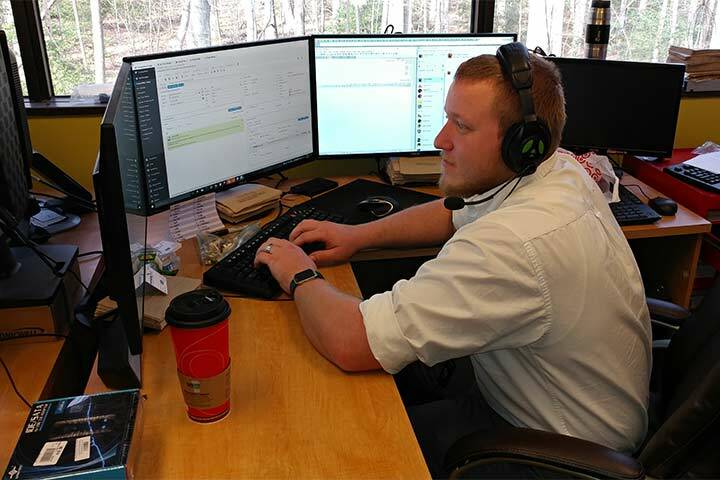 Rich then pointed to the multiple high-end monitors and keyboards at the various workstations and the comfortable ergonomic office furniture as additional worthy investments to improve employee comfort and productivity. 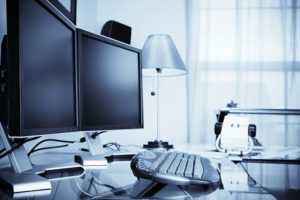 Some figures were then brought up comparing the cost of various standard IT items and office furniture, which demonstrated that these high-end investments are considerably more expensive than the most economical options on the market. Rich noted that most companies would not spend nearly as much on their employees’ equipment and workplace environment but that this is a critical mistake. Rich explained that a company’s most important assets are its employees, and by extension, that includes its IT, which gives the employees the tools to get their jobs done effectively. He shook his head and said that he is always stunned at how many companies spend a considerable amount on employee benefits, which are definitely essential, but then completely try to “skimp” on their company’s IT. He explained that this approach really embodies the old adage of being penny wise and pound foolish. In short, when you go bargain basement hunting on your IT, you might save some upfront, but these savings will not last. Any short-term savings will quickly be lost as less reliable and poorly performing IT tools will more frequently be down or negatively impact the company’s operations. In addition, employee morale and productivity will suffer from being forced to use subpar equipment along with the feeling that the company does not value the quality of their workplace environment. Talking further with Rich, he explains how Network Depot both follows this overall quality-first approach and also recommends that its clients do the same when considering investment in their IT infrastructure and employees. He says that you never want to let IT “get in the way,” and that when you go cheap a bad result frequently occurs. Another example of Network Depot backing up its philosophy of investing substantially in quality IT tools upfront is demonstrated by their proactive approach to providing IT support. They have invested a considerable amount in developing an IT infrastructure and back-end agents that automatically monitor their clients’ servers and workstations and detect and resolve problems before they can result in costly downtime. This approach enables Network Depot to provide a steady and effective Flat-Rate Fee service model to their clients in contrast to the ineffective and ultimately costlier “break-fix” hourly option offered by some IT Support companies. Rich Forsen summed up our discussion saying that the overriding goal at Network Depot is to help their clients be successful by keeping their IT infrastructure working smoothly and effectively so that they can focus solely on driving their business forward. He emphasized that companies that want to be successful should pay special attention to making the right investments in their IT infrastructure and working environment so that their employees can be happy and productive. For assistance with understanding the importance of investing wisely in your employees and the IT infrastructure at your business or any other IT issues, please contact us here at Network Depot.